Mathare by-election candidates have intensified their campaigns ahead of the August 7 by-election. TNA aspirant George Wanjohi received a boost on Sunday after President Uhuru Kenyatta and his deputy William Ruto led Jubilee parliamentarians and senators in drumming up support for him ahead of the by-election. 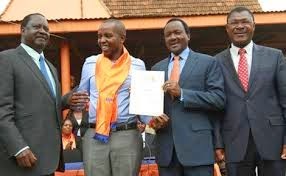 Cord on the other hand also stepped up campaigns for their candidate Steven Kariuki, with nominated senator Elizabeth Ongoro embarking on a door-to-door vote-hunting mission in Mathare constituency. 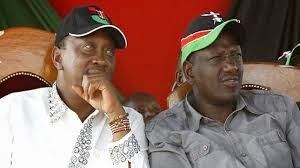 The by-election is, to most observers, yet another supremacy contest between President Kenyatta and CORD co-principal Raila Odinga. Sources say Raila, WDM leader Kalonzo Musyoka and Ford-kenya leader Moses Wetangula plans to literally camp in Mathare this week to drum up support for Kariuki. 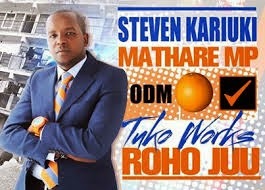 Cord seems to be relying on ethnic arithmetic to win the seat. Raila will be relied on to convince Luo voters to vote for Kariuki while Kalonzo will be relied on to ensure the Kamba community votes with Cord and Wetangula will be the man in charge of Luhya votes. 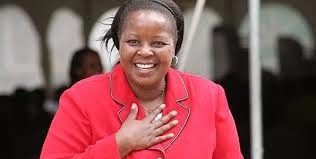 The game plan is to ensure Cord gets solid votes from the three communities and with the support of Margret Wanjiru who is Kariuki’s mother is expected to split the GEMA votes with Wanjohi. 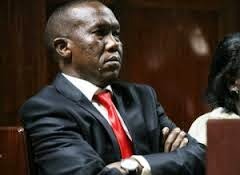 During Uhuru’s campaigns in Mathare, he told CORD leaders to desist from hurling insults at the presidency and instead engage in constructive politics. He asked former prime minister and other opposition leaders to avoid issuing ultimatums to a democratically - elective government, in their quest for a national referendum. “I want to tell my brother Raila Odinga to respect the Presidency. If he was elected the President, I would not be standing by the roadside to insult him,” President Kenyatta said.